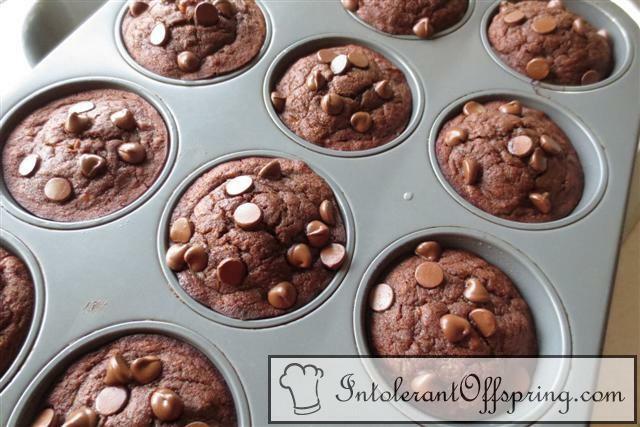 Line 12 muffin tin cups with liners. Combine all ingredients except chocolate chips in a mixing bowl until well-combined. Fill liners about 2/3 the way full. Top with chocolate chips. Bake at 350 for 20-30 minutes or until a toothpick comes out clean.